If you’re using Windows operating system and you have a rough idea of what’s happening in the cybersecurity world, you must be knowing that your favorite computer isn’t safe from malware and other threats. Same applies to Android and macOS platforms. To protect you from threats, cybersecurity firms develop and release antivirus software. In this article, we’ll be taking a look at the most notable and best free antivirus options out there to help you make an informed decision. Before going ahead, you are also advised to take a look at the list of best Android antivirus apps as well to win at the front of mobile security as well. This “Intelligent Antivirus” detects malware, viruses, ransomware, and phishing, etc. Using smart analytics, the threats are stopped at the earliest possible time. “CyberCapture,” which is a cloud-based scanner, sends suspicious files for further analysis in the cloud. If it turns out to be a threat, all the users are protected in future. “WiFi Inspector” finds flaws in your home WiFi and makes it more secure. “Smart Scan” detects various small-big security holes present on your machine. The automatic “Game Mode” makes sure that all notifications are put on hold. “Behaviour shield” keeps an eye on the apps and their behavior to make sure that they don’t harm your machine. 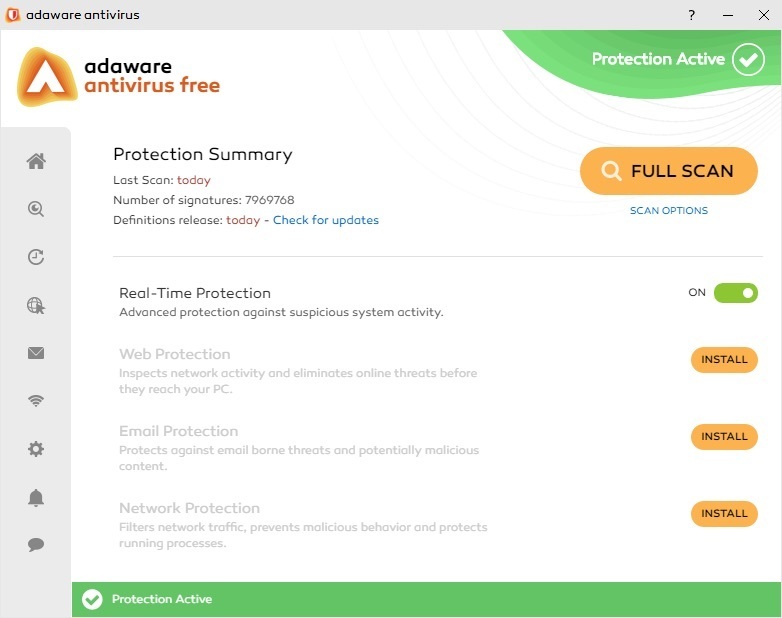 Overall, Avast is a feature-rich antivirus when compared to other entries on the list, including famous Bitdefender and Avira Free Antivirus software. You also get a free password manager named Avast Passwords as well. They also claim to include machine-learning-powered protection that learns and improves itself with time. The user interface of this top free antivirus for 2018 is also intuitively designed and pleasing to eyes. 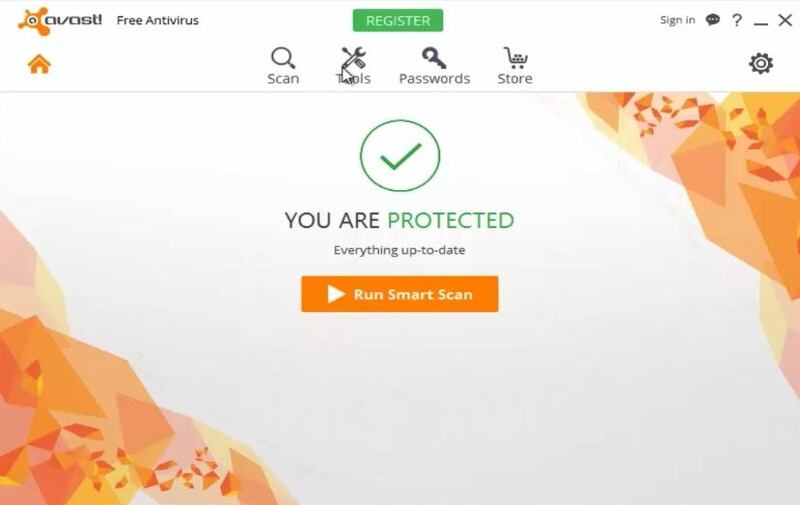 The paid antivirus products from Avast also come with added features like ransomware shield, firewall, anti-spam, sandboxing, etc. These features are great for any small-startup or home users that wish to ensure all-round protection. It comes with a 30-day free trial, so there’s no harm giving it a try if you wish to go for extra security layers. The best free antivirus software solutions of Avast are available for Windows, Mac, and Android platforms. You can choose them as per your needs from company’s website. “On-demand virus scanning” that ensures the removal of different kinds of worms, trojans, viruses, ransomware, rootkits, spyware, etc. The “anti-phishing feature” lets you protect yourself and take control of your online accounts in the best manner possible. With “behavioral detection,” your apps are actively monitored and instant action is taken. “Anti-fraud” feature warns you when you visit the sites that try to scam you. In the tests of different independent security labs, Bitdefender Antivirus Free Edition has excelled. This free virus scanner keeps running in the background all the time and comes with an easy-to-use interface. This top antivirus protection for 2018 is also quick to install and light on the resources of your device. When it comes to Bitdefender free vs paid comparison, the paid version comes with features like a password manager, browser hardening, specialized ransomware protection, webcam protection, social networking protection, etc. A feature named Bitdefender Autopilot is available to take care of the entire cybersecurity on its own. The plan also comes bundled with a VPN protection for added security and safety while browsing the web. If that sounds like what you need, give it a go as it also comes with a 30-day free trial. It’s a cross-platform product that is supported by Windows, macOS, and Android. Windows users can install it on Windows 7, Windows 8, Windows 8.1, and Windows 10. Avira’s “Protection Cloud” is an early warning system that analyzes the unknown files in clouds and protects the community in real-time. Its antivirus scanner takes care of most types of malware, including virus, worm, trojan, ransomware, etc. With the help of Avira Browser Safety extension, you get added features like Browser Tracking Blocker, Safe Browsing, and Price Comparison. The “PUA Shield” stops the unwanted apps from harming your system. The Protection Cloud of Avira uploads the digital fingerprint of the malicious file to the cloud and check the same against company’s database. Based on the detection results, further actions are taken. It’s worth noting that Avira also ships a software suite named Internet Total Security Suite, which has Free Antivirus and Avira Phantom VPN. The VPN bundled with this suite has a data limit. However, for VPN, I’ll recommend you to choose from these best solutions. Avira also ships a SafeSearch Plus extension for Chrome to take care of your privacy and informs you about fishy links right in the search results page. 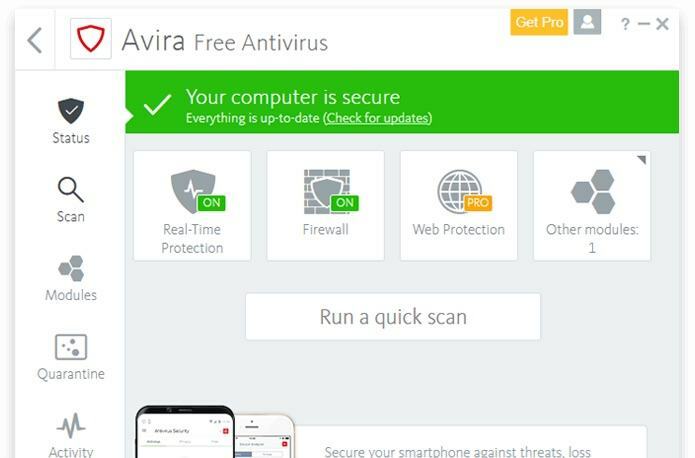 Avira Free Antivirus software is available for all popular platforms, including Windows, Mac, iOS, and Android. It wasn’t long ago when Russian cybersecurity leaders Kaspersky Labs launched a full-fledged free cybersecurity suite. The company’s home and enterprise products are frequently featured on the annual top 10 antivirus software lists of different websites and experts. The free and lightweight antivirus from Kaspersky Labs is a basic program that doesn’t come with any fancy features and promises to do its job with diligence. Talking about its features, you get the core protection of this not-so-heavy antivirus, which includes protection against dangerous malware, viruses, phishing attacks, spyware, etc. Its web protection also makes sure that notorious websites aren’t able to fool you. You also get email protection as well, so it’s not a bad deal as it uses the same antivirus engine used by popular and paid Kaspersky Internet Security. You can go for the paid version’s trial if you need advanced features like cross-platform protection, safe online transactions, kids security, password manager, etc. In the past, there have been some reports of tussles between the US government and Kaspersky. But those allegations haven’t changed anything when it comes to real-time scanning and security features shipped with Kaspersky. So, at the end of the day, it’s your choice. Kaspersky Free Antivirus is only available for Windows platform. Android users can go form Kaspersky Internet Security, whose basic version is free. In September 2016, Avast Software completed the acquisition of AVG Technologies. While both these companies enjoy an enviable reputation in the cybersecurity business, Avast is more popular in non-English speaking markets. After the merger, both the products have maintained their look and we can expect to see some technical under-the-hood improvements in both the products. 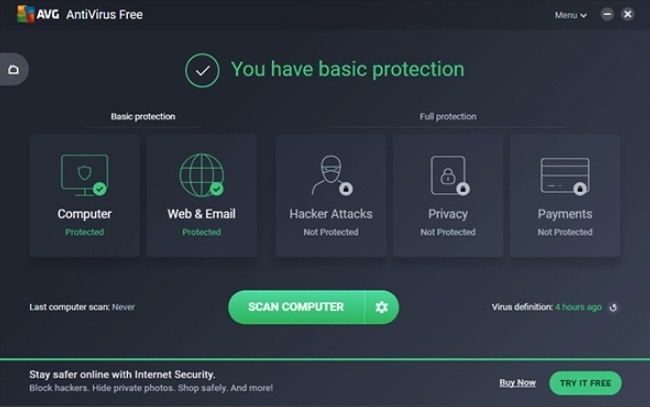 AVG Free Antivirus is AVG’s popular free virus scanner program that continues to get better. Complete virus scan and protection from different kinds of malware including viruses, spyware, ransomware, etc. Web protection to keep you safe from unsafe downloads and links. Email scanning is included as well. It also scans your system for performance issues and notifies you of the same. Real-time security updates are also provided. Apart from the protection from malware and harmful programs, you also get a 30-day trial of free AVG VPN tool. 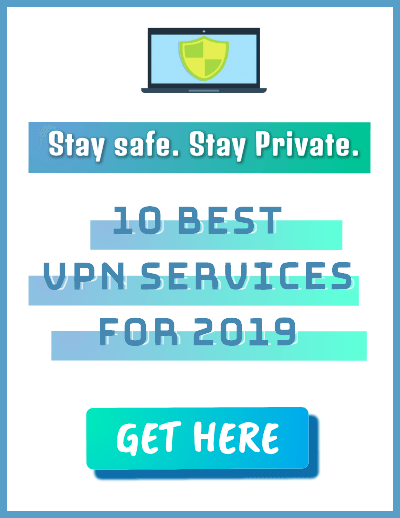 However, if you’re looking for a dedicated VPN for safeguarding your privacy, we’ll recommend you to go for the likes of PIA or ExpressVPN. A highlight feature of this security tool is an inbuilt File Shredder feature that lets you shred content with AVG and get rid of completely. You can use this feature by directly right-clicking on Recycle Bin or individual files/folders. 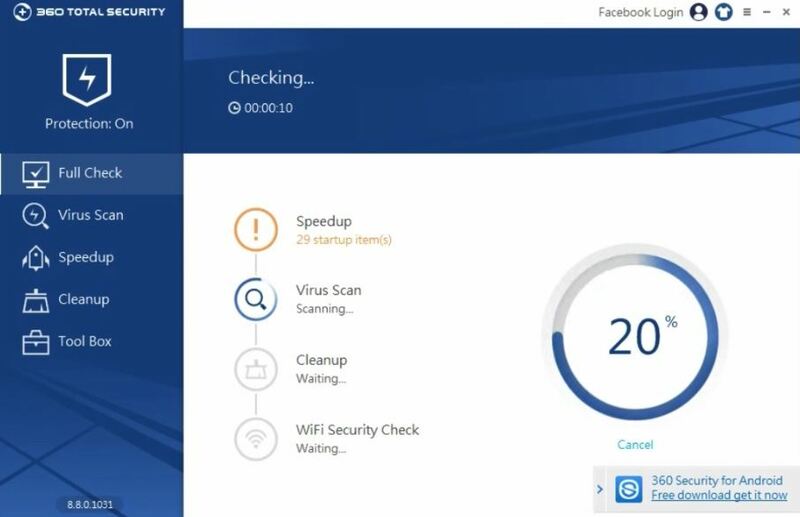 This top antivirus software of 2018 also features a neat and clean interface that makes it easy for the users to use the tool with ease and fix your computer’s performance issues effectively. While these features of one of the best free antivirus should be enough for most of the users, AVG also providers more paid options in the form of AVG Internet Security (free trial available) and AVG Ultimate. These options ensure dedicated support, Firewall, and Pro apps for mobile. AVG Internet Security also lets you create personal folders that comes with an added layer of ransomeware protection. Antivirus and Antispyware for getting rid of viruses, spyware, bots, worms, trojans, and other threats. You also get protection from spyware that infect the system via various online attack vectors. Personal Firewall that keeps an eye on incoming and outgoing traffic and protects your PC. Customizable scanning modes to run the scan as per your need. Gamer mode for gaming sessions without interruptions. Real-time security updates and daily credit monitoring. 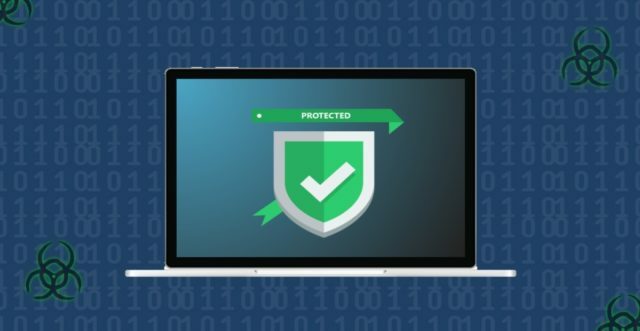 This recommended antivirus software for malware protection makes sure that your computer is extra secure with real-time security updates. It allows the tool to respond quickly to breaking threats and information from millions of users. ZoneAlarm’s Free Antivirus is recommended if you wish to couple the advantage of an antivirus with that of a firewall. 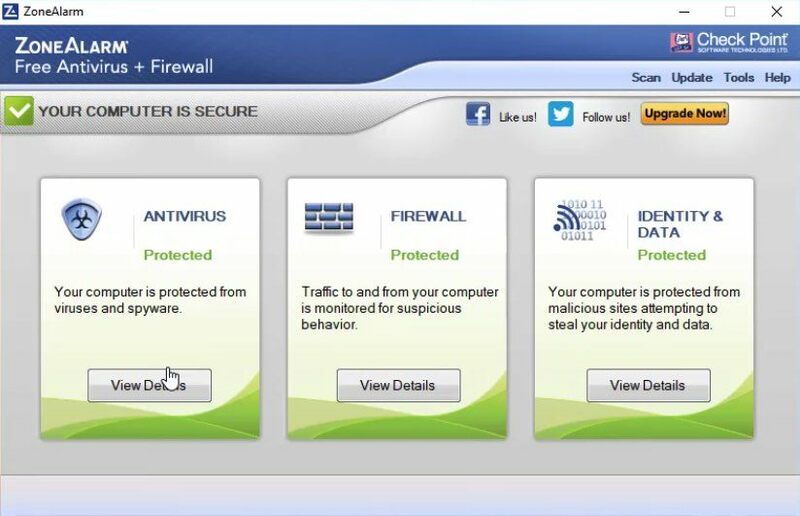 If you’re looking just for a firewall, ZoneAlarm has a separate free program for that. If you’re only looking for best free antivirus, choose Kaspersky’s offering as ZoneAlarm uses antivirus technology licensed by Kaspersky. The company also ships a premium security product called ZoneAlarm Extreme Security 2018. It protects one from identity theft, phishing, zero-day attacks, etc. You also get the facility of online backup, laptop tracking, identity protection, and family protection. ZoneAlarm Free Antivirus 2018 is available for Microsoft Windows operating system, with support for Windows 10/8/7, Vista, and XP. All the work is done in the cloud to make it a lightweight antivirus. Real-time updates for maximum free virus protection round-the-clock. USB protection feature for vaccinating USB drives against malicious programs. You can set this feature to automatically vaccinate every USB drive you connect to your Windows PC. Bonus tools in the form of Process Monitor and Rescue Kit. Over the past, Panda has managed to improve its free antivirus product and make the experience better. If you frequently borrow USB drives from friends and colleagues, you can give this contender for best free antivirus a try. However, they still need to do a lot of work to catch up with the top-ranking solutions on this list. This free antivirus software for 2018 also comes with up-to-minute, real-time update for minimum device impact. Panda also ships a Protection Advanced version that takes care of ransomware, WiFi connections, parental controls, etc. It’s available as a 1-month free trial, so you can give it a spin. 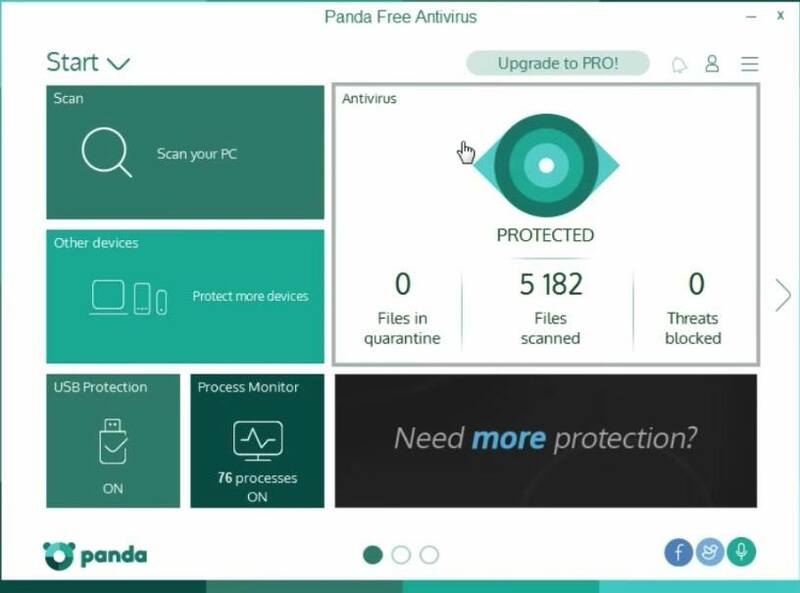 Panda Free Antivirus is available for Microsoft Windows platform. If you’re looking for cross-platform protection, Panda isn’t for you. 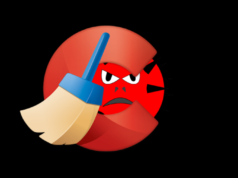 Advanced computer security to remove malware, ransomware, viruses, apps, and programs to keep your machine clean. Using SophosLabs’ real-time threat intelligence, the behavior and activities of programs and files are analyzed continuously. Lots of bonus features coupled with basic computer security. Clean interface and easy installation. As said above, Sophos Home PC protection program has many added features that might interest you. It prevents your computer from connecting to malicious websites that are a source of spyware and other malware. You also have the power to control the content your family accesses. Moreover, you can also control it from any web browser remotely. 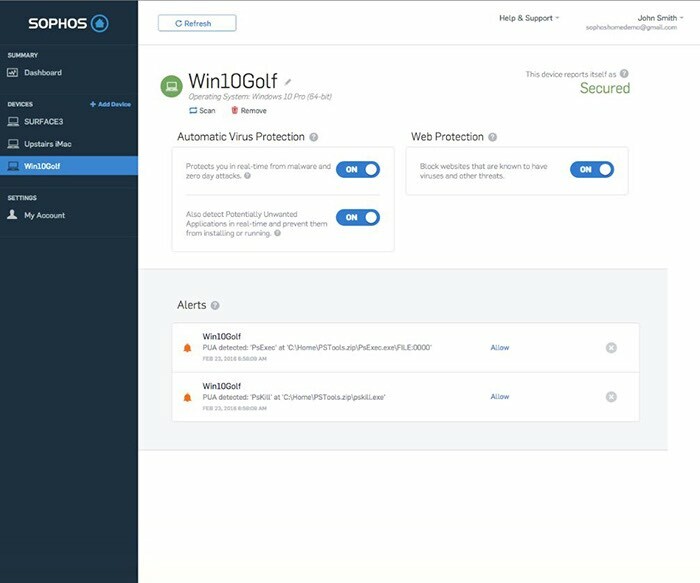 Sophos Home supports Windows as well as macOS operating systems. You can install it on Windows 7, 8, 8.1, and 10. Apple users can run it on OS X 10.10 and later. Auto-scanning of files when saved or opened. Anti-ransomware to protect you from increasing threat of recent times. While its core protection might not be able to beat the market leaders, 360 Total Security is one feature-rich software. Apart from the features mentioned above, you get webcam protection, keylogger blocking, USB drive protection, file system and registry protection, network threat blocking, and more. So, if you love options to play with, give it a try. This security software from Qihoo is available for Microsoft Windows operating system. Protects your PC from popular threats like spyware, viruses, worm, trojans, etc. Download protection scans all the files that you download from the web. The files and processes are scanned and blocked in real-time. While most of the free computer protection software on this list had some bonus feature to offer, adaware antivirus 12 doesn’t have any. As it’s free, you can give it a try. Still, I’ll recommend you to go for the top picks like Kaspersky, Avast, or Bitdefender. 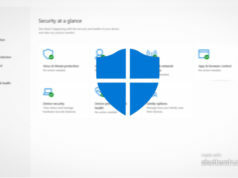 You can install adaware antivirus 12 on Windows 10, 8, 8.1, and 7. Editor’s Recommendation: Which free antivirus is the best? 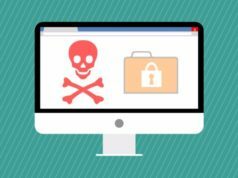 It goes without saying that due to increasing online threats like ransomware, phishing, and new kinds of malware, the antivirus companies are improving themselves and offering the best possible protection. However, when it comes to delivering the expected performance without taking any money from the users, few of them deliver. That’s why it’s very important to choose the best free software protection by analyzing all the aspects. Out of these top-ranked best free antivirus software for 2018, I’d suggest you go with Avast Free Antivirus or Bitdefender Free Antivirus. Avast has many bonus features bundled with its free software and it should attract many users. Bitdefender’s software follows a no-nonsense principle and detects threats with ease. So, depending on your personal choice, you can select any of these. You can also install free trials of paid versions of Bitdefender and Avast to see if they are built to fulfill your needs. 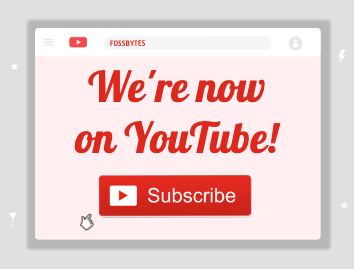 Don’t forget to give them a try and share your valuable feedback with us and other readers.